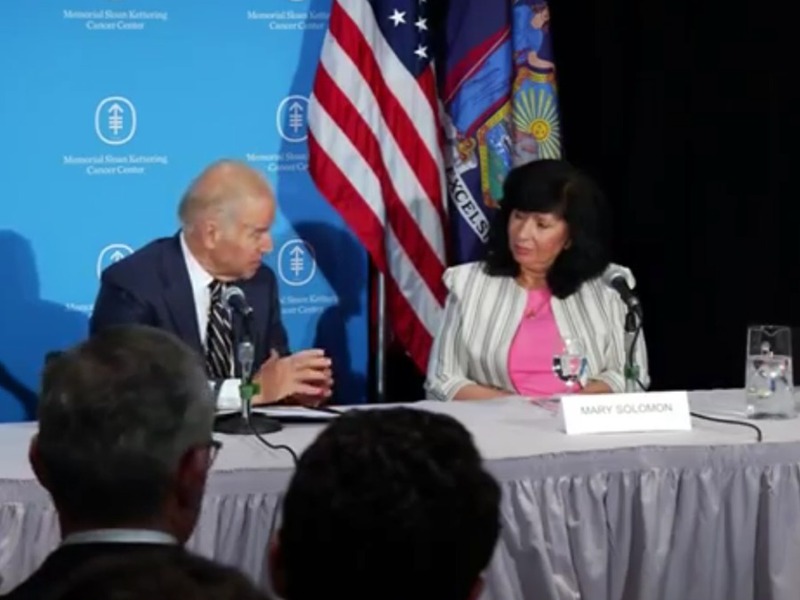 On Thursday, May 26, Memorial Sloan Kettering Cancer Center hosted a roundtable discussion with Vice President Biden, who has taken the lead on the ambitious cancer moonshot initiative launched by President Obama earlier this year. Nine speakers were invited to speak on the various facets of the initiative, including improvements in data collection and aggregation, survivorship care, and access to clinical trials. Mary Solomon, Scan Van Director at Project Renewal, was asked to speak on the importance of low cost screening. The Scan Van program – named one of JALBCA’s annual grant recipients – offers portable screening centers that travel around New York City offering mammograms to uninsured or poorly insured individuals who would not otherwise receive it. While diagnostic screening is an obvious objective of the Scan Van program, Mary casts subsequent patient navigation as the most critical aspect. Screening alone is not enough – individuals with abnormal results need assistance navigating to proper care. Mary spoke of the necessity of low cost screenings to provide all women with the chance for an early diagnosis that could save her life, regardless of socioeconomic status. JALBCA is a proud sponsor of the Scan Van program.